UPDATED: Sat., Aug. 12, 2017, 9:53 a.m.
A firefighter was seriously injured when he fell off a ladder while battling a fire at Beacon Cleaners on Grand Boulevard late Friday. The firefighter was wearing full gear, including an air tank strapped to his back, when he fell backwards off a ladder and landed on asphalt, said Spokane Fire Department Chief Brian Schaeffer. His injuries are significant, Schaeffer said. He is a 27 year veteran of the department. Crews were called to the fire at 3112 S. Grand Blvd. at 10 p.m. Friday. 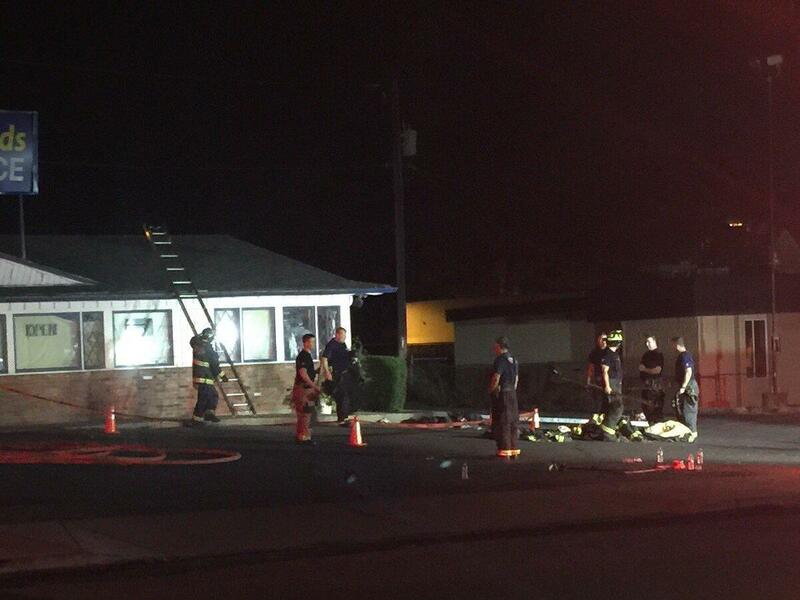 A fire started outside the building and then went up into the attic of the business. Several firefighters, including the one who fell, were sent up to the roof to battle the flames from above. Damage was contained to the corner of the business. Two U.S. Postal Service vehicles parked nearby were also damaged. As of Saturday morning the injured firefighter had been released from the hospital and it is unknown how long he will be out of work. Grand Boulevard was closed for several hours while crews worked. The cause of the fire is under investigation. Published: Aug. 12, 2017, 9:35 a.m. Updated: Aug. 12, 2017, 9:53 a.m.